We are happy and sad all at the same time. Happy to announce the line-up for number 11 but sad to tell you this will be the last ever Cocoon in the Park. Really. All good things must come to an end but we will be making sure this is the ending our unique festival deserves. 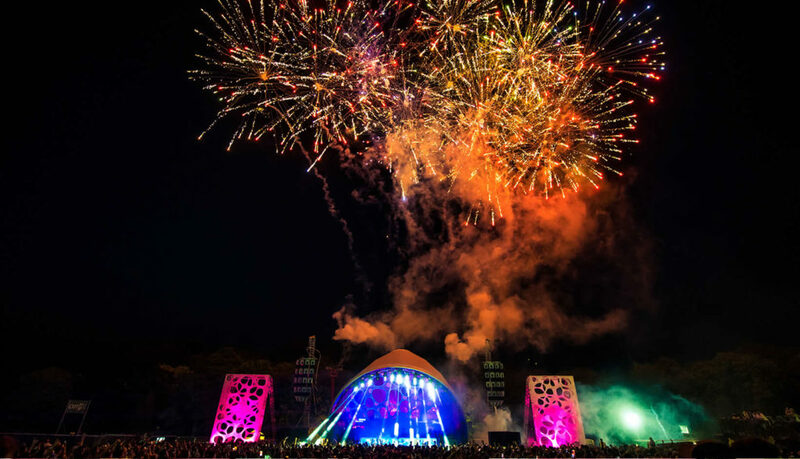 You know the score by now – one day, one night and one stage set in the glorious grounds of Temple Newsam so expect stunning sound, spectacular visuals and FX. For the 11th and last time Sven Vath will close the show and look out. Expect an emotional unmissable send off as Sven digs deep to celebrate the last 10 years. There will be fireworks, and much more. To dance you towards a dramatic finale we bring you one of the biggest, if not the biggest, names of 2019. Peggy Gou joins us for the first time and will light up this big stage in the early evening – because she is electrifying. Prime time northern soul Patrick Topping has been whopping the ball home in most continents, he will spark joy in Leeds today. Another joy Eats Everything returns and the luminous Alan Fitzpatrick is on stage for you. The sun might shine once again but whatever happens the staggeringly good PA along with Temple Newsam House will gaze down on you for the last time. If you have never been to this amazing gig it is your last chance. 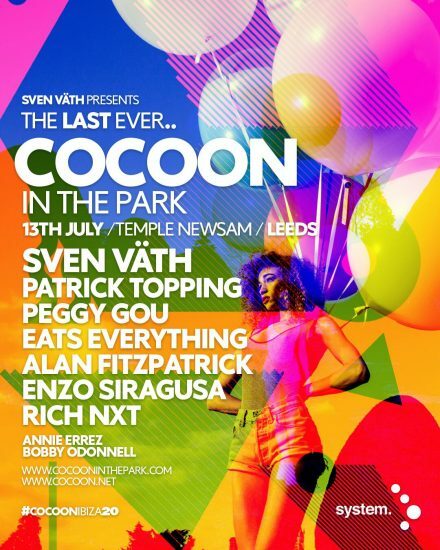 If you have been supporting us over any or all of these last years we would love to see you at the final ever Cocoon in the Park. We hope you enjoyed the ride, made some friends and heard some ridiculously good music – we did. Are you coming to CITP2018 in a group? Buy 5 tickets, get one free!